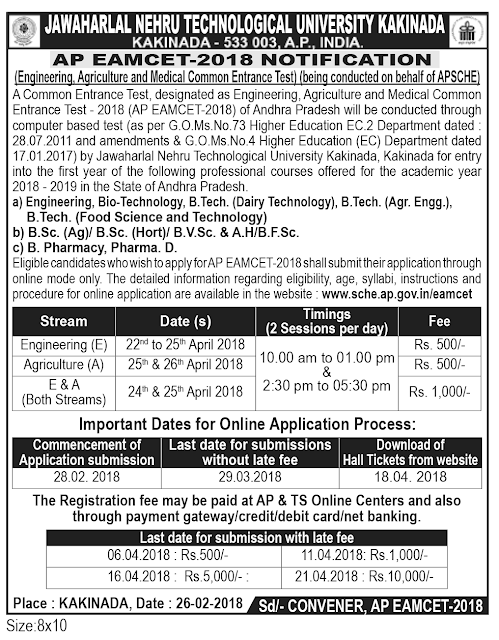 Telangana State Engineering, Agriculture and Medical Common Entrance Test – 2018 (TSEAMCET–2018) will be conducted (as per G.O. Ms.No. 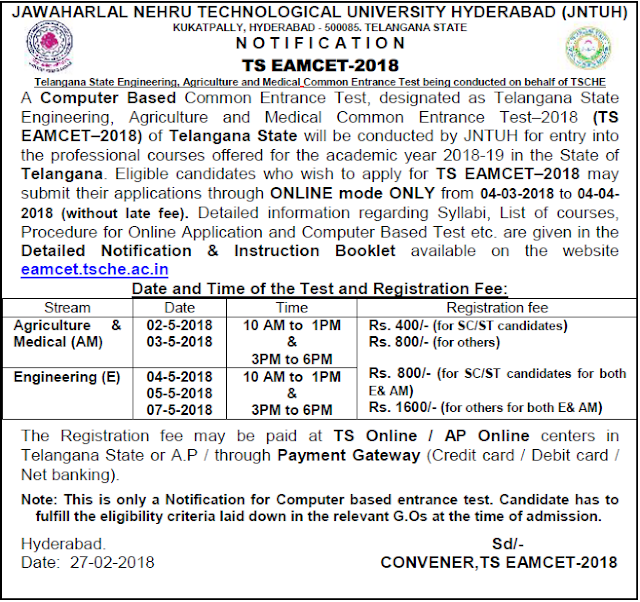 73 Higher Education EC.2 Dept., Dt: 28-07-2011, G.O.Ms.No.33 of Higher Education (TE/A2) Department dated 31-12-2014) by Jawaharlal Nehru Technological University Hyderabad (JNTUH) for entry into the first year of the following Under Graduate Professional courses offered for the academic year 2018-19 in the Universities & Private unaided and affiliated Professional colleges in the State of Telangana. a. B.E., B.Tech. / B.Tech. (Bio-Tech.) / B.Tech. (Diary Technology)/ B.Tech. (Ag. Engineering)/ B. Pharmacy / B.Tech. (Food Technology (FT)) / B.Sc. (Hons.) Agriculture / B.Sc. (Hons.) Horticulture/ B.Sc. (Forestry) / B.V.Sc. & A.H. / B.F.Sc.